My 30-Day Ritual Challenge was intended to get some Brethren working on ritual, and it apparently did. I’ve heard that some individuals are trying it out, and one Junior Warden in Chicago issued assignments to the officers in his lodge and is testing them weekly. I met him and several of his lodge Brethren at our recent Grand Communication in Illinois, and was delighted at the seriousness with which they’re approaching the Work. What I did not expect were the comments offered by some Masons directed at something not addressed in my post: printed ritual books. Several commenters expressed a deep antipathy to their existence, with one going so far as to call them “a cancer destroying Freemasonry from within.” Another commenter said that operative Masons didn’t use a book for reference, so we shouldn’t either. Instead, he said, we should use our minds. Leaving aside the point that they also didn’t use antibiotics, soap, or power tools, the idea that the printed word is somehow opposed to thought leaves me baffled. I honestly don’t know what to say in response to that, other than to suggest the commenter read more. I have no doubt that those sentiments are sincerely held, if less vehemently expressed, by many Brethren. I disagree with them. Illinois has had a printed ritual, The Book of Standard Work, since 1986. Without it, I, for one, would not have had the time to learn ritual to the point of being commissioned to teach it. I learn best from text and spoken word combined, not from the spoken word or text alone, and am grateful that my Grand Lodge had the wisdom to standardize the ritual so that more of my Brethren, including the ones who have too little unscheduled time to meet with an instructor several times a week to learn mouth to ear only, can become ritually proficient. Limiting the learning of ritual to one method is to ignore decades of educational research, and is, in fact, antithetical to the enlightenment values that Masonry espouses: to experiment, try new things, discarding what doesn’t work, keeping what does, and always remembering the goal of learning more every day. Some commenters noted that learning ritual mouth to ear several times a week would create a relationship with one’s mentor that would be the most important relationship a new Mason would have in the Craft. Nothing in a relationship with a mentor is dependent on learning ritual; in Masonry, a mentor is meant to exemplify the Craft itself, not the ritual alone. My closest mentors in Masonry are not necessarily the men with whom I’ve spent the most time, but those whose example radiate Brotherly Love, Relief, and Truth. If the only point of mentorship is to learn ritual, then we are not a fraternity, but a memorization society. Brethren in other comment threads have said that a printed ritual is a violation of one’s Masonic oath not to print our secrets. That entirely depends on how a given Grand Lodge has defined “secrets.” Illinois defines them as pertaining to certain signs, words, and penalties, which are not printed in our ritual. Given that each Grand Lodge is sovereign, what Illinois says is true for Illinois. If another Grand Lodge defines “secrets” more broadly, that’s fine, although I disagree with that interpretation. It’s certainly none of my business to say they’re wrong. All I can say in conclusion about this “controversy” is this: if your Grand Lodge doesn’t permit printed rituals or cypher books, don’t use them. If you learn best by mouth-to-ear instruction, find a good teacher who has the time to spend with you. If your Grand Lodge permits them, and you learn well by reading, read. Read as much as you can. Go to lodge meetings. Practice the Work. Try to exemplify Masonry in your life. After all, the only cancer that can kill the Craft from within is when Masons stop acting like Masons. Some interesting points. We were just discussing this last week and the points you raise cause you to adjust my position somewhat. I think that if we spent half the time working with candidates/Leaning Brothers as we do talking about "thats not how I had to do it" I think we would serve many of the other beneficial purposes that are lacking such us the Brotherly interaction that used to come from mouth-to-ear instruction. What I mean is that we want them to learn mouth to ear but by and large, we dont have brethren stepping up and offering their time to post. It has nothing to do with the book. I wouldn't worry too much about the rituals . There are several sites online with rituals as well as the ones written by Edmond Ronayne which have the complete ritual fully explained. The cat is out of the bag and its like arguing about the moon a complete waste of time. As a Virginia Mason, I am intimately aware of the printed/not printed question. However, I, as RWB Shirley, learn better visually and feel that having a book in front of me would add benefit. What about those non-Masons out there who may get there hands on a copy of the ritual, though? What would that do to the craft? 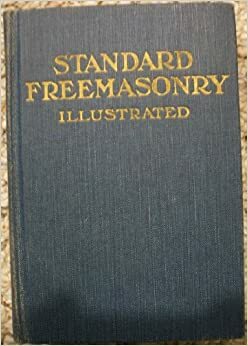 I am sure there are certain steps to prevent these books from being sold to non-Masons in Masonic environments such as a Grand Lodge website or at meetings, but what prevents those books from later making their way to Ebay? These are certainly not questions that I am qualified to answer, but I appreciate the post and the opportunity to discuss it. To paraphrase Bro. S. Brent Morris, you can go into just about any bookstore, library, or go online and find most of the secrets of Freemasonry. But I made a promise to not reveal them, and I intend to keep that promise.